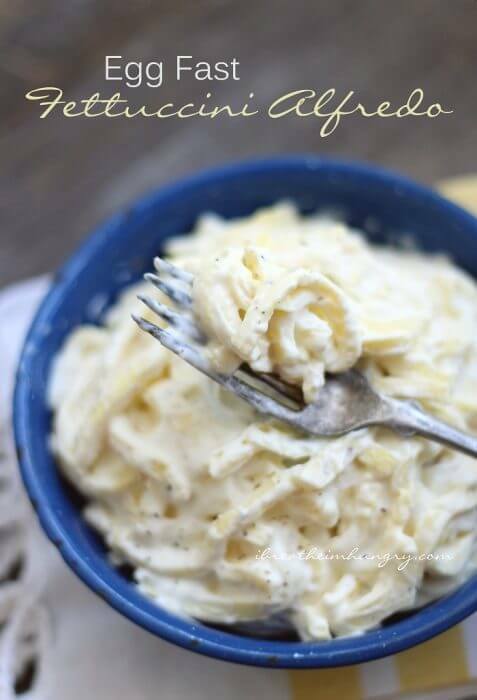 This, the original and best Keto Egg Fast Fettuccini Alfredo recipe, is so creamy and satisfying that it will make sticking to your egg fast a breeze! In fact this keto Fettuccini Alfredo is so good, you may end up adding it to your weekly rotation! I made it! 5 days on the IBIH Keto Egg Fast Diet and I’m down a total of 7.4 lbs as of this morning! 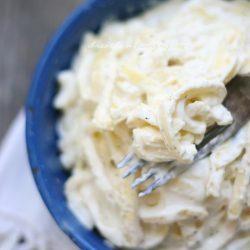 This Keto Egg Fast Fettuccini Alfredo recipe is a keeper, and definitely contributed to my successfully staying on the keto egg fast for the full 5 days! I’m already deep in ketosis (the strips are purple which NEVER happens,) from this keto egg fast, and I’m hoping that maintaining my macros at a really high fat content, very low carb, and less protein than usual rate will keep the weight from coming back on overnight. I’ll be reporting my weight fluctuations daily via Instagram and Facebook, but won’t have time to post anything here on the blog for the next few days. I’ll update you in a post sometime this weekend though, with a 7 day Egg Fast menu plan (5 days on, 2 days off) soon to follow. I’m not going to lie, yesterday was ROUGH! By about noon the idea of eating another egg in any form was making me want to hurl. I was cranky, had a headache, and really wanted to quit this keto egg fast. It didn’t help that Mr. Hungry was churning out delicious smelling pizzas in our wood-fired oven either! This keto egg fast fettuccini alfredo recipe saved the day for sure! It’s not easy to get the right consistency in a flourless keto “pasta,” and believe me I’ve tried. I finally hit on a combo that provides just the right aldente “bite” that feels like eating the real thing. Not too mushy, perfectly pliable, and doesn’t fall apart in the sauce. And the sauce – oooooh the sauce! 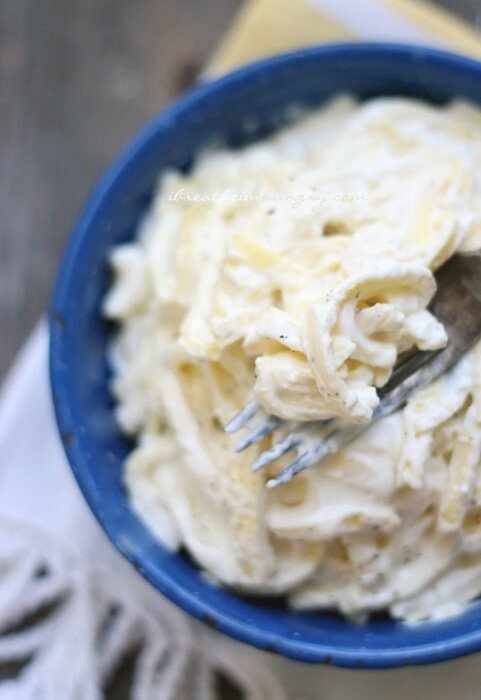 This keto egg fast fettuccini alfredo sauce is so creamy and cheesy that I prefer it over the flour-laden real thing! And it’s so easy to make – it literally takes less than two minutes, and can be used to dress up chicken, veggies, pretty much any savory dish will be improved with a heaping tablespoon of this easy keto egg fast alfredo sauce!!! I’m writing this keto egg fast fettuccini alfredo recipe as a single serving because the pasta doesn’t reheat well – I hit it in the microwave while in the sauce because it got cold while taking the photos, and the “pasta” got a little tough – not horrible, just not as good as fresh. The sauce for this keto egg fast fettuccini alfredo recipe reheats fine though – so you can make extra of that if you want, so you have it on hand. This is incredibly rich, so if you can’t eat it all, then just be sure to reheat it very gently for as little time as possible, so your keto noodles don’t get too tough. This was delicious. My “noodles” stuck to the pan, so they didn’t look like noodles, but it didn’t matter once I put them in the delicious sauce. I’m not doing an egg fast, but I thought I’d try it for a quick meal for one. Loved it! Oh. My. God. I made this on dinner of day 2 of my egg fast and I honestly feel like I will just make this every night for the next 4 days! HOLY WOW it was good! I didn’t have marscapone so I just used 2 oz. cream cheese and 2 Tbs butter and it was perfect. Added a good bit of pepper, a dash of garlic powder and a splash of lemon juice to the sauce and it was hard to not lick the bowl. THANK YOU for this recipe, it will forever SAVE my egg fasts!!! I was skeptical making this. And its not the prettiest but it tastes amazing! This is saving mr on my egg fast! I just made this and it is so good! The cheese sauce is out of this world! I added steamed broccoli florets to mine. Absolutely gorgeous! I did have to make a 8×8 sheet out of tinfoil as I didn’t have a dish that size. Was done so quickly and so yummy, will definitely make again, thank you! Omg that was delicious! Thank you! This was fantastic! Not a big portion but probably more the size i actually needed versus what i wanted. Haha. For a non-domestic person, I found the recipe very easy. Note to all-make sure to STIR the Parmesan before nuking. I didn’t and had a nice crusty glob. But I fixed it easily and the sauce and noodles were great. OMG! This was amazing! I admit I was skeptical when I took the “pasta” out of the oven. It did appear eggy. HOWEVER, I followed the recipe and cut it into pasta and it was AMAZING! I’m not sure how anyone can mess the sauce up. Super easy. I did have to cook the “pasta” for an extra minute or two. I doubled the sauce because I’m a sauce girl, but I really didn’t need to. I’m almost embarrassed to say (but not really) that I licked the bowl to get all of the sauce. I too, miss pasta. I’ll eat the spaghetti squash and zoodles (no shirataki noodles for this girl! ), but those don’t compare to the recipe here. Hi – i tried making this tonight but my sauce didn’t turn out.It was a clump of cheese mixture in butter. I followed the recipe as written, what did i miss? Now the noodles were wonderful and I did mix it with my butter-cheese clumped sauce and it was very good. I’ll make it again,but need to know what I didn’t do right with the sauce. btw – I’m really enjoying the Egg fast and plan to follow your 12-week menu plan after another week of the egg fast. I was so sceptical about this recipe and now I am in love. This was so quick and simple, a perfect single serving, and absolutely delicious. I can have pasta!!! Thank you!!!! I’m not doing the egg fast and I didn’t make the Alfredo, but these egg noodles are to die for! One of the things I have missed most since going Keto was pasta. I have missed bolognese sauce with pasta. I saw this recipe and did a major happy dance, with fingers crossed that these egg noodles would work. So, I made the bolognese and let it simmer for most of the day, still crossing my fingers that the “pasta” would work. OMG! This was so yummy!!! I doubled the recipe and used a 13×9 pan, lined with parchment paper sprayed with avocado oil. This was the perfect amount to feed 3 people, to rave reviews I might add. The only issue I had was that the ends of the pan didn’t cook as fast as the center. I ended up cutting off an inch and a half of uncooked noodles from one end. Other than that…best keto friendly sub for pasta ever! Thank you so much for giving me back my pasta. Now I can’t wait to try your Alfredo sauce! This was a hit in my house. Added this as a regular in rotation. Thanks for sharing this! This is absolutely amazing!! Can’t understand the bad reviews others have left…surely they are not doing something right! I’m eating this on an egg fast right now, but will keep making this regularly. It is sooooo delicious! Thanks for the recipe! WOW!!! I just made this for my daughter and I to eat for lunch and IT. WAS. AMAZING!!! I did let the pasta cook a little longer, thanks to other comments and I doubled the sauce recipe, but don’t really think I needed to do that. It was so rich and creamy!! We added some grilled chicken to ours, as well. My 14 year old daughter said this is her new favorite and she wants to learn how to make it herself :-) Thank you for such a great recipe! Absolutely love this! Second time doing egg fast. First time was during a stall out I had. This time I am doing it to kick start getiing healthy again, as I gained all my weight back after slowly going back to my old ways 😔. Yesterday morning I felt god awful, but persevered through made this for dinner and it was so good I made another helping! Day four now and I was down 6 lbs! Thanks for you great recipies! This was perfect, I cooked mine at 175°c for 8-9 ish minutes, just kept watching until they set, after that I took them out and since i greased the pan quite a bit it never stuck, after 3-4 minutes they rolled up like a carpet!. Reminded me a bit on those “butter rolls”, anyway cut them in fine length and while this was all cooking I made the sauce, I did the sauce like I always do it, butter, heavy whipping cream, parmesan cheese, basil leaves and a bit of pepper and salt.. when the noodles came out the sauce was ready and I poured the sauce over the eggs on the plate.. Next time I am going to add chicken, it may be low in fat but I love the protein it gives me and Keto is high fat ,moderate protein and low carb. Im happy with that, maybe add champion mushroom also, I think it will all go down nicely.. Funny how you can actually make good food that fits your criteria… next up, need to figure out a Doritos substitute for a weekend snack with some Creamcheese, Salsa, sauce.. then we’re in business.. great recipe! Noodles were not cooked in 8 minutes; put in microwave to finish. When they were done, they reminded me of scrambled eggs cooked flat. If they had contained sharp cheddar, they would have been more palatable. Not something I’ll make again. And, I laughed when I saw the description about the Alfredo Sauce; I have never made an Alfredo Sauce with flour in my life. It’s made with butter, heavy cream and cheese. You can add fresh basil, hot pepper and minced garlic if you want, but the sauce never contains flour. While I’ve liked many of your recipes,this did not cut it for me. Fair enough, since I laughed when I read your comment. Just because YOU’VE never made the Alfredo sauce with a flour roux Bechamel style, doesn’t mean it’s not done by anyone. For example Geoffrey Zakarian. Maybe you’ve heard of him. Here’s his recipe. Also, rushing the noodles in the microwave will absolutely make them tough – cheddar or not. In fact I specifically say in the post that they don’t reheat in the microwave well because it makes them tough, so I recommended making them fresh. And since ovens vary, I specifically said in the instructions to bake for 8 minutes OR UNTIL JUST SET. Not rush it in the microwave and ruin the entire dish. I’m sorry this one “didn’t cut it for you”, but based on the majority of rave reviews from others, you may want to consider that my recipe isn’t the problem here. I just made the recipe and I was impressed with the consistency of the eggs for the noodle and the flavor of the sauce and I’m Italian and all I did was follow the recipe!! I will definitely make again! Then you’ve never made real alfredo sauce. Real alfredo sauce starts with a classic french bechamel, which contains flour. You made an American cheese sauce. Actually, real Alfredo sauce as first created by Alfredo for his pregnant wife is one part each of cream, butter and Parmesan. Pretty close to this. This recipe is phenomenal! I love love love it! I followed this recipe EXACTLY and 8 minutes didn’t seem long enough. My noodles were still very uncooked and soupy. Any suggestions? Is really love to try them again. Could be a variation in your oven, just cook them until firm next time! This recipe is amazing! And, I even messed up the pasta. We are in the tail end of kitchen cabinet replacement, so I couldn’t find my true 8×8 pan and used a 8×8 plan with sloped sides so the bottom was probably 7×7. I used the greased parchment paper. After 8 minutes it was completely done. After 5 minutes I thought, maybe. When I rolled it up to cut, I saw the insides still needing more cooking and the roll stuck together. I think the thicker ‘pasta’ made a big difference. I was eager so I ate it as it was, and it was amazing! Like regular fett. alfredo, the star is the sauce and the ‘pasta’s’ job is to not be distracting, and this pasta did that. This is the first Keto recipe I’ve tried. I think the next few will be the egg recipes here. I’m not doing the egg fast, but we have chickens and I like eggs. Hi! I made this recipe tonight, using the alternative sauce. It was AMAZING! And filling. I did have to tweak my oven temp a little to get the eggs to completely cook through, after a couple attempts 335 for 8 mins was spot on. Will def be making this often, thank you!! I’m on day 3 of my egg fast and this recipe. Omg. I licked the bowl. That sauce is delicious and will definitely be making it again! Thank you! I would have never guessed that my low carb pancake recipe would make egg noodles! Definitely going to try this, thank you! Sorry to say that this recipe did not turn out for me at all – or at least consistency wise.It was tasty and really good but looked nothing like yours. I baked the eggs even 2 minutes longer and still, the middle was wet and soggy. Since I don’t own a microwave, I heated up the sauce on the stove and it turned out dry and more like a paste. Hi Mellissa. I couldn’t find Mascarpone cheese so I made it with Cream Cheese. How come there is 1 oz Mascarpone. But in the alternative version there is 2 oz cream cheese? 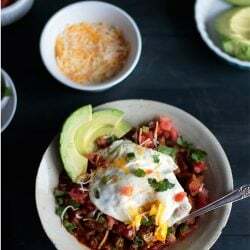 I never had the courage to go on an egg fast but with this recipe, you got me a boost to start the fast as soon as possible. I really want to see how my body reacts :). Is it 2 net carbs also of it is jist the noddles? I’m on day 5 and surprisingly I’m not sick of eggs, haha! Thanks so much for all these recipes! I’m down 3.8 pounds after stalling a bit (I’ve been on keto for about 5 weeks now I think), not as big of a weight loss as I wanted, but I’ll take it! I’m down 18.2 pounds, almost halfway to my goal of 40. Thanks again for making these plans available, you’re a genius! I love this recipe, even when I am not on an egg fast. I started adding a pinch of Italian seasoning to the “pasta” and it really kicked it up a notch. Even my very picky 8-year-old loves this! I do not understand the whole rolling/unrolling of the pasta. Could you please elaborate? I am looking forward to making this tonight and might try to skip that part, simply cutting from the pan if I can. TIA! Amanda you can cut from the pan if you prefer – I find that taking it out whole and rolling it produces a thinner, more uniform pasta like look but it will taste the same either way so do whatever is easiest for you! We need a video of this technique!! She doesn’t mean rolling as in rolling out a dough. She means take out the square of egg mix after it’s baked and roll it up like cinnamon rolls or a fruit roll-up. Make your slices, then unroll each noodle. If you eat 20 carbs or less a day you are guaranteed to be in ketosis. No need to even bother with those inaccurate test stripes. I don’t understand why people torture themselves with egg fasts. If you monitor your calories then you can break stalls in weight loss. That is true on any kind of diet plan. Plus stalls are normal. Weight loss doesn’t go straight down. I lost 42lbs and no egg fasts at all. 1300 calories a day works fine, plus I needed all my calories as protein to keep cravings away and eggs just don’t have enough. Chicken breast is your best friend on a diet. I would love to try these noodles though. Noodles and chicken breast with the sauce. That would be good. Oh and some mushrooms. ;-) Thanks for recipe. 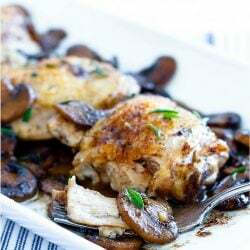 Chicken breast is high protein and low fat – actually NOT your best friend on the keto diet. Thanks for your two cents, but just because your experience has been that calorie reduction works doesn’t mean that everyone’s will. The egg fast works for a lot of people including myself. That’s just a fact. @Jodie – Calorie counting doesn’t work for me, ketosis does. LCHF simplifies it too because I can go out to eat or go to a BBQ without being overly concerned about what the food was cooked in/with since these things can drastically differ and really throw off a calorie count. I personally am using the egg stall to recover from my week of vacation where I decided to indulge where I desired. I just want to jump ahead to where I left off. This one will become a regular in our household. 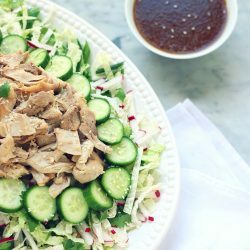 My husband has been battling high blood sugar with a low carb diet and he’s amazed by this recipe. I made the alternate sauce and added some cooked broccoli and chicken. He’s in love! Thanks for the wonderful recipe. Thanks so much Lou Ann, glad you guys are enjoying it! I made this last night and wasn’t that happy with it, I subbed a little cream cheese and monterey jack because I was almost out of cream cheese. I went to the store today and got the mascarpone cheese. OH MY! I am in Heaven! This is now my favorite dish! Are you kidding me!!! This is absolutely amazing ! As others have commented I definitely licked the bowl… judge me I don’t care! I can’t wait to make this again! I used the noodle part of the recipe to make savory crepes, they turned out excellent! Just fry in butter in a pan.. used then on day 6 to make quesadillas… yum! Made this tonight. OMG it was sooooooo good, although it looked nothing like your pics, my noodles were very eggy yellow and just ugly looking but it tasted so good who cares!! !LOL I also made a double batch and ate the whole thing. That must be a really tiny bowl in your picture to make it look like so much ;) Will definitely be making this again thanks!!! I licked the fork…the plate…my lips….just THAT good! Cheers and thanks soooo much for this recipe! Not sure what the issue is with heavy whipping cream, but somehow butter is good? Do you know the difference? Have you ever made butter? After you finish making butter you are left with buttermilk – which has 12g carbs per cup. There are more carbs, proteins and sugars in heavy cream than in butter. Heavy whipping cream is around 36% butter fat. Butter is 82% butter fat. It’s considered almost pure fat because the rest is water and about 2% milk solids. HWC is not. Use it or don’t, but to do the egg fast as the egg fast was intended, we don’t use HWC. Well done Melissa! I truly appreciate what you do. I have used many of your fantastic recipes along my journey. This hearty meal completes my 5 day egg fast. I followed your meal plan which made it quite easy. Thanks again!!! Looks wonderful! I have used heavy whipping cream on the egg fast as well as on keto. I am in the middle of an egg fast now and after 2 days had lost 3lbs. I don’t notice any difference from when I was using keto without cream. That being said, everyone is different. What works for me may not work for others. However, I have lost ~100lbs on a ketogenic diet and have about 40 to go to reach goal! Wow! I’m so glad I found this recipe. I made it today (day 1 of an egg fast). It is incredible! Thank you. Thanks for the great recipe! Really rich and delicious, and great for keto. The “pasta” on its own tastes essentially like a weird omelette (as you’d expect) but once you mix it with the sauce it works well. I may have blended the “pasta” too much before cooking it though, as it broke apart somewhat as i tried to lift it from the pan. I added cream and a little bit of colby to the sauce, and put fresh garlic into the sauce instead of powered in the “pasta”. The result was delicious. I’m sure I’ll be making this again sometime! Anyone tried subbing ricotta for the marscapone? Ricotta will have a much higher carb content than mascarpone, making it not suitable for the egg fast and probably not as creamy and it may separate in the sauce. Fantastic recipe, I added some nutmeg and found it positively perfect. Thank you for convincing this former cook that low carb cooking is much more adventurous and delicious than initially thought. Tried this recipe for the first time this week, although I have done the egg fast before. Wanted a change from the pancakes (which are delicious!). I didn’t have Marscapone so I used ricotta. It was SO good! Can you eat it more than once a day? Thanks for all your hard work coming up with recipes, you are a life saver. That’s very interesting. Since I started the egg fast, I’ve been trying to up my water consumption to 100 oz a day, and I noticed that my keto strips have lightened to “moderate”, which totally confused me. This makes me feel better! Hi there, tried this recipe twice and it didn’t work either time. The noodles just wouldn’t set up. What could I be doing wrong? Not sure. If you’re following the recipe exactly and your measurements are correct, then it’s possible that your oven is just a little cooler and you need to cook them longer. Or if you are using a smaller pan than I was and they are thicker, the solution would also be to cook them a little longer. Otherwise I can’t imagine why they wouldn’t set up. Hope you are able to get it to work! Seriously phrnomonal!! My husband couldn’t believe the ingredients. Will be making this again. Super yum! Day 5 of the egg fast and doing great! Hubby is down 8 lbs and 7 for myself. Btw…I have used about 1/2 a teaspoon of half and half in my coconut oil coffee every morning…then 2 more cups through out the day (no coconut oil) so its working ok for me and still losing. Thank you so much for all your hard work and wonderfully easy great tasting recipes! I really need to look into this Egg Fast thing. I honestly have never heard of it. I mean all of it, I could eat very single day. I like this recipe and would love to try it. Creeam cheese….. it is yummy! do you think the noodle dough would work if I replaced the cheese with thick coconut cream? This is totally crazy! Crepes AND “pasta” you are some kind of wizard! This turned out perfect for me, but you definitely need the parchment paper otherwise it may stick. I baked it slightly longer, like you said, until set. Delicious! Tried this for the first time today. Thank you for giving the alternative alfredo recipe as well. Absolutely delicious and so easy! Do you think the noodle might work in Chicken Noodle Soup? I was very wary of this recipe. It had been in my egg fast file for a long while, but I had avoided it. I wasn’t sure how it would come out taste-wise and texture-wise, but I decided to try it out. Holy crap, it was so yummy! Thanks so much for coming up with these awesome recipes! I don’t know why I didn’t find this 2 years ago but I sure am glad I found this recipe now!! I had no problem making the noodles and they were satisfying and delicious. I don’t have the ingredients for the alfredo sauce, but will definitely get them next shopping trip. I had some shredded chicken with veggies and topped the noodles with that. DELICIOUS!!! In my old oven, I baked them for 10 minutes and they were perfect. This is also perfect for someone like me on a very tight budget! I was trying to say, my oven is old and it took 10 minutes for the noodles to set. Super quick, super easy and super yummy! I made the noodles only and added to chicken soup. It was fabulous. I can see HUGE potential for this recipe!!! I’m looking to start a youtube channel talking about my low carb lifestyle and want to talk about recipes that I try. May I mention this recipe if I link back to you in the description? Wow! Amazing recipe. Thanks SO much. Made the egg fast yesterday much more pleasant. Day 1 done – down 2 lbs. I am on day two of the fast and I made the fettuccine Alfredo, and boy was it good. I have avoided making any faux noodles or pancakes out of just eggs and cream cheese out of fear of it being disgusting, but I have to say I was wrong, I have been missing out. I cooked it on med-low on the stove in a nonstick pancake griddle. It was so easy. I can’t wait to try the snickerdoodle crepes. I have a question and please don’t tar and feather me in case it was already asked I searched the “FAQ” and didn’t see it. How often can the egg fast be done once a month or less, will it become ineffective of it done too often? Keep up the good work you are a godsend. Some people do it once a week until they reach their goal – not sure if it loses effectiveness over time, but it would be different for each person I think! I have to say, I was just about ready to call it quits on the diet until the ALFREDO! I didn’t think it would taste good, I thought I wouldn’t be able to make it right. Then I thought, go ahead, give it a shot. I did it! Start to finish was 10 minutes. I am in shock! Easy, looks just like your photo does. The taste? Let’s just say I’ll never make any other kind of Alfredo again! Ever. And won’t my family be shocked when I make it for them and tell them it’s practically carb free! Thank you for the great recipes. This diet has been wonderful! Wow! My pasta looked more like scrambled eggs, but the taste was absolutely amazing! Definitely will be making this again! Thank you! OMGOSH!!! This is amazing, and so easy to make. It tastes just as good as Olive Garden and I’m not kidding! I will be making this again and again! Thank you so much for your blog & recipes!!! Recipe came out perfect. Made two batches in a springform pan. Turned them into the “noodle” layer for a 5 lbs lasagna in that same springform pan. Noodles held together. Wonderful recipe, so versatile. Thank you for your hard work! OMG!!!! The absolute BEST LCHF recipe around. 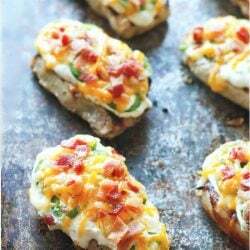 I made this the other day and my husband and I added grilled chicken, crumbled bacon and sautéed mushrooms on it. WOW! THANK YOU!! BTW, I want to make a low carb pad thai, do you think these noodles would work? I dislike shiritaki noodles. Let me start by saying I have never once commented on a recipe, no matter how good, but I HAD to comment on this one. I just wolfed down the whole bowl, licked it clean and could easily eat another. This was freaking fantastic!! You’re a genius!! This is going to make the egg fast possible. I will use more butter next time bc I did have trouble getting the noodles out but I just sliced them in the pan then used a spatula to scrape them out. Love, love, love!!!! Thanks so much for taking the time to comment Lorna! I’m honored to be your first and I’m so glad you liked this recipe! It’s definitely my favorite on the egg fast and it’s saved me from cheating many times!!! I am having a little trouble getting the egg “pasta” to firm up, but the sauce is amazing. I had to do the cream cheese alternative because mascarpone here is expensive and harder to get. Mellissa, you knocked it out of the park with this one. We had it for dinner tonight. The sauce was so, so, good! Melissa I will give you 1 million theoretical dollars if you made a video making this! It would SO helpful. I made the alternative sauce since I didn’t have mascarpone. It was awesome! We had baked chicken thighs wrapped in bacon and smothered them w/ this sauce. This was delicious! I’m on day 1 and decided to give this a try. It was too much to eat all at once, though, so will finish it later. This may have saved my egg fast! Almost to the end of day three and I was getting sick of eggs faster than I had originally anticipated. Made this and it was SO. GOOD. I wanted to lick the bowl. Okay I licked the bowl. Was so tempted to make it and eat it all over again. Okay I made it and ate it again right after. Looking forward to trying this with other things added once the 5 day fast is done. You are a genius! Thank you! Oh, I never even attempted to roll mine. I just flipped it out onto a chopping board and cut the noodles that way. Worked perfectly. I would love to try these, but what is MTC oil? MCT oil stands for Medium Chain Triglycerides and it is usually a derivative of coconut oil. You can use just coconut oil in place of it though, it will just have a slight coconut flavor whereas the MCT oil is tasteless. Hope that helps! Thank you for explaining. :) I have coconut oil, cold pressed, refined, so it doesn’t smell/taste like coconut… Will that be fine? Yes, that will work great Michele! I meant to say the same amount of 1 oz? Do you think these could be cut into wide strips and used for low carb lasagna? Can I use whipped creamcheese for this recipe? If I do should I use the same amount of 2 oz? I have made this recipe two nights in a row now. It’s amazing. Night one I just made the noodles. I served them under sugar free pizza sauce, cooked diced chicken breast and Parmesan cheese. Tonight I stopped at to he store to purchase the maarscapone cheese. Oh how I love the sauce. I added more garlic and pepper. I served it with chicken breast and broccoli and cauliflower. The noodles. The sauce. So delish! Thank you so much for sharing this recipe. It’s a perfect way to get my extra protein after a workout. And it’s so versatile. I might try the noodles under beef stroganoff next! I made just the sauce x 4 using cream cheese instead of mascarpone-adding about 1/4 cup cashew milk to thin it out a bit, some nutmeg and black pepper. Then I stirred it into 8oz of sauteed shiitake mushrooms and previously roasted chicken breast that was sliced- stirred all together til all hot. Then to the plates- some sliced toasted almond on top and served with grilled asparagus on the side. Excellent! Also I don’t own s microwave so I had made the sauce on the range in a small stainless pot, heating it slowly and carefully. Adding theill really brought all the ingredients together. Sounds fantastic Sally! If you’re doing keto though I would caution using mushrooms with wild abandon (especially shiitakes which are my fave) because they are surprisingly high in carbs. For example 8oz of raw shiitake mushrooms have about 10g of net carbs! Fine if you’re dividing them between a few servings but just be aware of it if you are using them a lot! I was wondering if plain old chicken broth/boullion would be ok on the egg fast, because he only craving I really have right now is for some egg drop soup. I usually add condiments (a little soy, some sambal, sesame oil) but I’d leave them out and keep it to just broth and swirled eggs, if you think it would fit. If not, I can wait. It’s really up to you – try it and see how you do! My noodles came out like an omelet. Did I do something wrong? Theybtasted pretty firm, but had the texture of an omelet. I followed your egg fast diet EXACTLY for 5 days and lost 7.49 pounds. I have Put on only 100 grams in week I have been off. So next week I am going to do it again and hope to loose some more weight. Thanks for the recipes , they are delicious. I was never hungry on the program and really did not mind all the eggs like I thought I would. OMG this was wonderful! I have been looking for low carb recipes for my diabetic husband (we’re cutting out all carbs) and this really impressed. I couldn’t believe it really tasted like a decadent pasta dish. We had this with Chicken & broccoli and we couldn’t finish all of it. I used a tbsp of butter for the 8X8 pan like you suggested and I just flipped it out onto a cutting board after 10 minutes out of the oven. I used a pizza cutter to cut it into strips. I can’t wait to make this for my MIL. So clever. Thank you!!!! I took a picture of it on the cutting board in strips, but couldn’t figure out how to post it here. This looks delish. Can’t wait to try it!! Do you think the “pasta” could be doubled and made in a 13 x 9 pan?? The noodles were every bit of the disaster I knew they would be. I scraped the baked product into a pot of homemade soup, ‘rolling up and cutting’ was not even a remote possibility. After 2 failed attempts at this dish, I continue to see rave reviews and wish I could get my “noodles” right. Both times, they disintegrated when I took them out of the pan, with no pliability?? Can you provide any additional tips so I can end up with “pliable” sheets of noodles and enjoy what everyone else seems to love. Thank you. Not sure what the issue is Pat – one problem could be if they are too airy, the bubbles make them super fragile and they can fall apart. It’s important not to overwhip it and to let the batter rest for a bit before cooking. Also if you overcook them they will be hard and fragile. I should really post a video of how to make these – I’ll see what I can do! This is really, really AMAZING! I licked the bowl. This was so gosh darn good. Sadly, my entire family LOVED it too. I had to share my one small serving with them. Next time I will definitely make multiple batches. I look forward to trying more of your recipes. 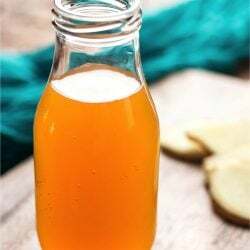 WOW, this recipe blew my socks off – and I wasn’t expecting it! I knew it would be yummy, but I just didn’t expect it to be oh so ..”Stuff mac n cheese, I have my egg fast fettuccini alfredo!”It really hits the spot if you’re craving pasta and cheesey white sauce in a way I hadn’t expected. Many thanks again Melissa, this one is going to become a staple in my house, egg fast or no egg fast! You’re welcome Helena, so glad you liked it! I made 4 8×8 pans of “noodles” and used them for lasagna (2 noodles per layer). It was delicious. I highly recommend it. Thanks Laura, I’ve used it for lasagna too and it works great! Glad you liked it! OMG Good Thinking! you can use the same pan you make the squares in after for the lasagna! OHHH Man this is Awesome!! YESSS! I was hoping someone had tried this as lasagna noodles! I’m going to try the lasagna idea Sunday for family dinner! This was so good!! I was very skeptical about the noodles. So I made the sauce for some veggies and it was great. Weeks later I made the noodles and was BLOWN AWAY by how great they taste and the noodle-like texture! so so good!! Definitely will make this often!! My noodles had a spot on it that was not 100% set but it was fine. I had to cook the noodles an additional minute or two. I don’t think I left it to sit long enough once out of the oven either. Just finished this for dinner tonight and day 5 of my egg fast. This recipe…oh this recipe…it is RIDICULOUSLY easy to make, and SOOOOO GOOD!!! You must be a friggin genius! :) I followed your plan to a T. Every single meal and snack has been a treat. I don’t feel smaller (I’ll find out officially tomorrow), but whatever the results the scale says, I have some amazing new recipes to use for lunches, dinners, and breakfasts. And I will be using mascarpone in so many more things than tiramisu now too! LOVE. Thank you!! I am lactose intolerant but I really want to try this great recipe so for the pasta, instead of using cream cheese I used goat cheese and it was so delicious, the texture turned out to be great and so was the flavor. I used goat cheese instead of the mascarpone and the Parmesan cheese and worked just fine. Anyone who enjoys goat cheese would love this adaptation to you great recipe. Thank you! I love goat cheese Josye, definitely going to try your version, sounds fabulous!!! I am-noodle challenged as well. They turned terrible. Were still runny raw at 8 min so I nuked them and it puffed up too much. The sauce was delish and I ate it but probably won’t try this again anytime soon. Too many other options that I do like. I’m on my 3rd day of an Egg Fast. I’ve done it twice before and nothing kills my cravings like this Egg Fast. It sure works to get me jump-started. Thank you so much for all your yummy recipes. I made this for dinner tonight and it was fantastic. Thank you SO MUCH for this! I’m egg fasting after two weeks of a lot of off-plan eating. This was such a rich, delicious lunch. I think I’ll just have something tiny for dinner! I stumbled across this on pinterest searching for low carb stuff. Thank you so much for posting this (and the snicker doodle crepe recipe – that will be breakfast tomorrow). This is a perfect ending for the 5 day egg fast. It was so good I had to read the recipe over twice to make sure I didn’t add an ingredient that I shouldn’t of. This will definitely be a staple in my recipe index. Thank-you thank-you and Thank-you!!! Anyone have suggestions on how to make the noodles for 3 people? I know I can make them one at a time, but the others will cool off by the time I get the last one made. 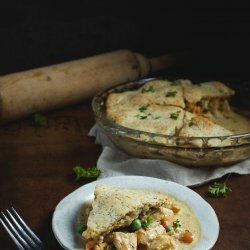 Anyone try doubling or tripling the recipe with success? What size pan did you use? I know I could use 3 separate dishes, but again, I only have 2 that size. Suggestions anyone????? Once you slice up the noodles, place.them in a pan of barely simmering salted water and put a lid on the pan. Add the next batch until you have the desired quantity to serve your family. They noodles will be perfect temperature without over cooking. Have you actually tried this? Because it seems to me that this type of noodle would just get waterlogged and disintegrate if put in water. Yes. It is the same concept as keeping poached eggs warm. Once the protien is set it won’t absorb any additional water. I doubled the recipe and cooked in a 9×13 pan. The “noodle” might have been a hair thicker than intended, but it worked great for me. I wonder if you make 4x and cook it on a jelly roll pan? This turned out PERFECTLY. I can’t believe how noodle-y the noodles were. Thank you! OMG OMG OMG, just made this yum yum yum yum. Added a sprinkle of nutmeg, super yum. That you Melissa! Wondering how your loss has been keeping in the last few weeks since going off the egg fast? Have you maintained, lost, or gained? How does the pasta batter keep? (I.E: uncooked in fridge?) 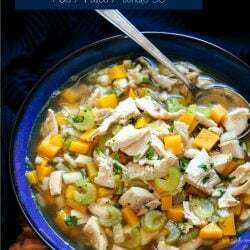 I would love to make a larger batch for several days and cook it as I go. I haven’t tried to keep it but as long as you stir it well before cooking it you should be fine! Wow, that thing really didn’t want to come out of the pan. I did use lots of oil, but oh well, it doesn’t matter. I was the only one looking at it so it didn’t matter if they didn’t look like noodles. I was surprised that this really didn’t have an eggy taste and the texture was pretty darn good. I didn’t feel like I was eating eggs. To me this makes more sense than shirataki noodles because you actually get nutrition from this instead of empty fiber, so I think I’ll try this with something else. Don’t think it would be good with with marinara sauce, but would be yummy with a cheddar sauce like mac and cheese, I think! I also think I’ll try to make this on the stovetop in a non stick pan instead, like a crepe. I don’t suppose you tried that already, did you? OMG!! I feel like I’m eating pasta! I love it!! Thank you for all your experimenting. You come up with the greatest recipes. I returned home today after a busy day out, hot, cranky and not having eaten enough eggs and fat to that point. I was ready to eat ANYTHING (and maybe everything). I remembered this recipe, knew I had marscapone, which was why I had printed the recipe and *voila* not very much later I was enjoying this. Immensely. Like Claudette, I used parchment in my pan (and buttered the paper), in my case since my no-stick wasn’t quite no-stick anymore. I still rolled it and sliced it; whatever, it was TERRIFIC! I had this tonight and it was AMAZING!! I usually use miracle noodles and this was just like the real thing! 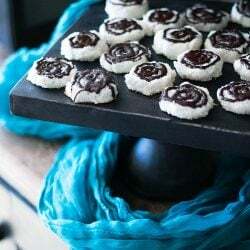 Just as a tip bake it on parchment paper in the pan that way you can just pull the paper out of the pan and you can cut it with a pizza cutter which eliminates the need to roll it up. I’ll be making this one a lot. You’re a genius girl! sadly, the noodles failed for me. they tasted fine, but i don’t know if i undercooked/overcooked them or what. any chance of getting a picture of what they look like when they come out of the oven? on the plus side, the sauce is awesome. i used it on top of grilled chicken thighs. it’s also a great dipping sauce for pork rinds. Most amazing recipe ever – and I am actually full after eating it!!! I totally messed this up. I cooked it 10 minutes because it wasn’t done at 8. Let it sit…came out in chunks! Yes I greased it with a LOT of butter…but I didn’t cook it long enough. BUT…I ate EVERY LAST BITE! It was like having alfredo over garlicy scrambled eggs…yet not. Those who say they could only eat half must not have an appetite like mine, because when I had scraped every last bit out of the bowl I so wanted some more. It wasn’t too rich at all..IMO. Another home run, my friend. Do you think the noodles would hold up to a spaghetti sauce? OH! Wondering the same thing! Maybe even chicken “noodle” soup? My family is sooo tired of zucchini! The noodles failed for me, I couldn’t get the “crepe” out of the baking pan in one piece, so next time I will pan fry it. The sauce was amazing and so easy. I will use it on chicken, broccoli, whatever. It was fantastic. Mascarpone has never been a staple on my shopping list, but it is now!! I mixed a little up with some s.f. tiramisu syrup (I found at TJ Maxx) and swerve and instant tiramisu! I used a ton of butter to grease the pan which may have helped Diane, and I don’t think I specified that in the recipe – if you try again, use a full Tbsp to grease it and it should pop right out! And if it’s not firm enough, throw it back in the oven for a minute or two until you can handle it easily! Ok, I will try more next time. Thanks! Just made this and yeah, it’s pretty legit. Melissa–I am so stoked!! Egg Fast and I’m down 12.2 pounds!! Whoop-whoop!! Yesterday made a meatloaf with 1 lb ground round, 2 eggs, chopped olives, Parmesan cheese and some sour cream. Probably should have used whipping cream but I need to use up the sour cream. Put my Walden Farms ketchup on top. Ate it for lunch today and it was really good. I didn’t even add any extra salt to the beef. Those olives helped with the flavor too. I can’t believe that something I dreamt up actually tasted good. I’m now more heartened that I can continue to lose weight and I’m in ketosis too!! So overjoyed. Your recipes are inspiring and so easy to put together and of course, EAT!! I am so going to make this. Will probably put some left over grilled chicken! Congratulations on your success with the egg fast! There’s no flour in traditional Alfredo sauce – only Parmesan, butter and cream. Some people add flour as a thickener but it’s totally unnecessary. Thanks for your posts. This looks really good! I started the egg fast yesterday and am down 2 pounds. That never happens so I am hopeful! Recipes like these will be life savers! Thanks Melissa for sharing! I knew I had to make this as soon as I saw it! It turned out awesome. I replaced the mascarpone with cream cheese and it worked beautifully. It is very rich so I was only able to eat half of it. I will see how it reheats tonight. Thanks for the recipe. A great big THANK YOU!!!! I love your recipes! 1. I haven’t had fettuccini alfredo in about… 20 years. WHY? I love it, and yet… WHY? I need to address this situation immediately. 2. Yesterday, I was boiling some eggs for our dinner of cobb salad and I thought of you. How far in advance do you think you can make the ‘pasta’? As I mentioned, it’s best fresh, if you have to reheat it can get tough. you mentioned that using heavy cream is not in the egg fast…I just made homemade Mascarpone cheese, using 2 cups of cream and lemon juice?? I had the same question. Allot of the eggfast recipes use Mascarpone cheese. When I looked it up it is made of heavy whipping cream. So why would it not be eggfast legal? How would I cook it on the stove? My oven is broken at the moment…. Thank u so much for all the ideas. Do u have an alternative for blue cheese in the crepes? I used sharp cheddar cheese in the Buffalo omlet and it was amazingly good. I used feta instead of blue cheese and it was yummy!! Oh. My. GOD. Yes, please. Just… Yes. Thank you so much for all that you do! I am so excited and looking forward to the day egg fast meal plan!! i wonder if you could make a faux rice pudding with these? I don’t have the mascarpone, so I’m going to try your alternate recipe. 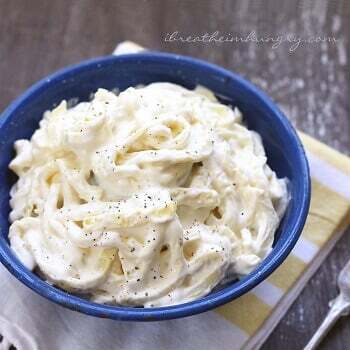 The picture really looks like fettuccine alfredo. Thanks! for the pasta, soften the cream cheese first? or not necessary? Don’t weigh ever day! Demoralizing. Use fit of pants. Weight can vary by several pounds a day naturally. Oh I am making this!! That ‘pasta’ is just too easy – I’m so excited!! Heart be still! I will definitely have to give this one a try. You, lady, are the bomb! I second that, this was a hit for the entire family. We have been missing pasta like dishes since going grain and gluten free in January. This was a perfet fit and very filling, Thank you for your efforts, they are not in vain.